Quick and Easy. Makes 20 Pancakes, Waffles or Crepes. 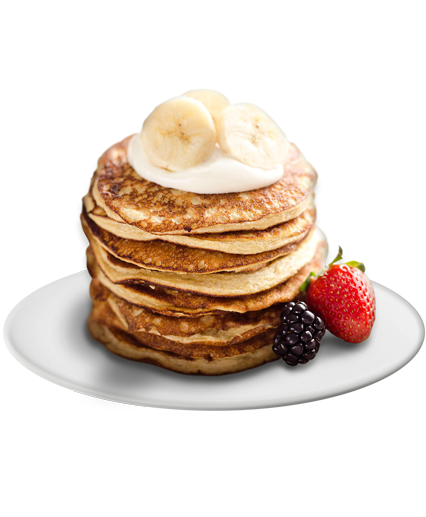 NZ Protein’s Pancake Mix is great tasting, quick and ridiculously easy! Its blend of slower release proteins (micellar casein and egg white) and low Glycemic Index (GI) carbohydrates provide a sustained energy release to help fuel you throughout the day. 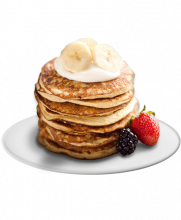 With nearly 9 grams of protein per pancake they're a great protein food to have at breakfast - or any time really because they're pretty guilt free! They won't dry out either. 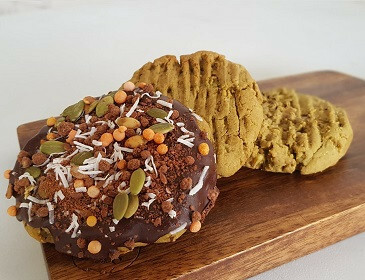 We've used ingredients that bake well - casein and egg white don't tend to dry out like whey does when cooked, as with the combination of coconut flour and oat flour. 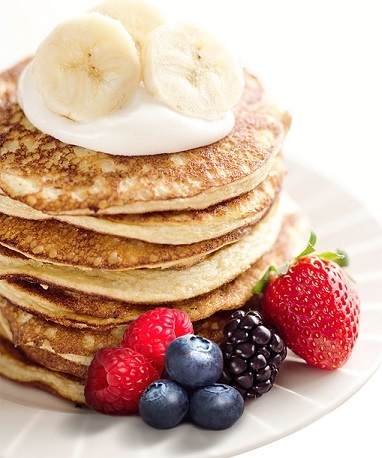 Our protein pancake mix is super economical too. 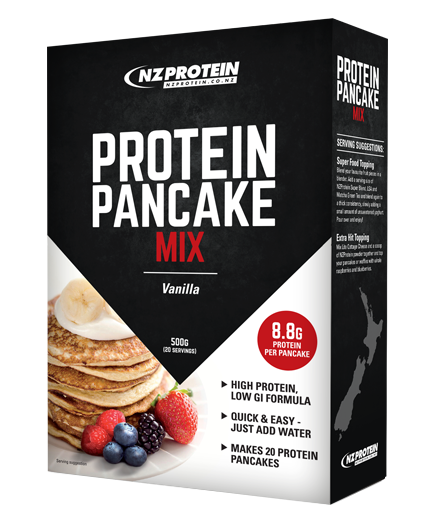 At just $0.80 per pancake we're pretty confident that we've got the cheapest protein pancake mix in New Zealand. At this price why muck around getting all the ingredients, measuring them out and trying to get it right when we already have?! It can also be used to make crepes or waffles! 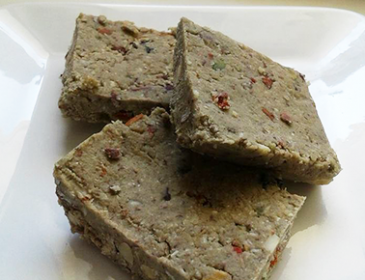 Easy - just add water or liquid egg whites, mix and cook! Pancake Mix - Just Four Steps! 1. To make one medium sized pancake get 1x packed level scoop of our pancake mix. 2. Add to 50ml of water or your preferred milk. 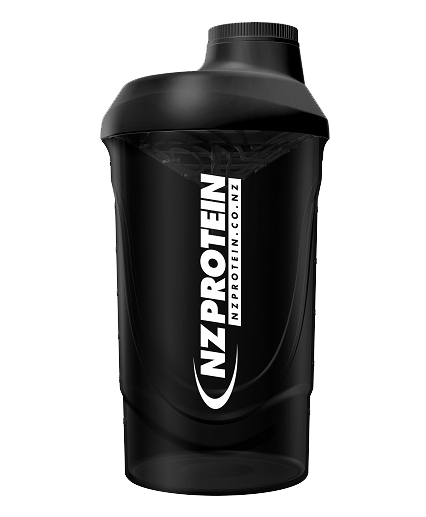 TIP - the water can be replaced with 50ml of liquid egg whites for a higher protein hit. 3. 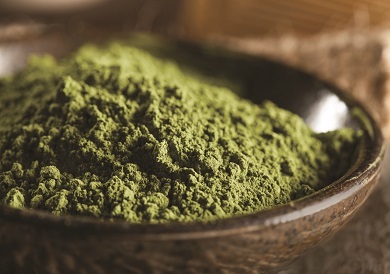 Mix gently in a bowl with a spoon until there is a smooth consistency. 4. Add to a non-stick, medium-heat pan and cook until able to be flipped. Cook on each side. 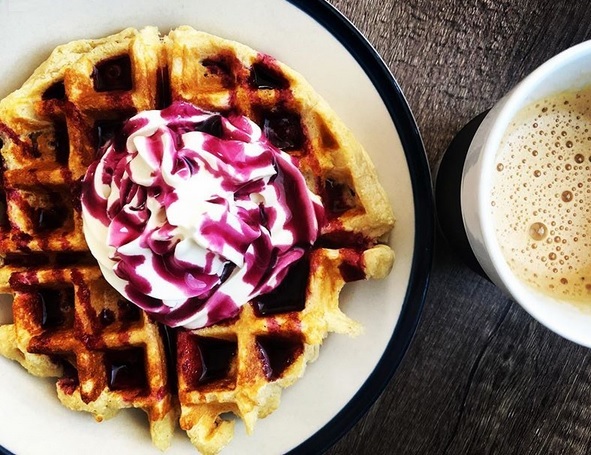 The same mix can be used in a waffle maker to make great tasting protein waffles. Add an extra 25ml or so to make the mixture more liquid, so that it can swirl around the pan. 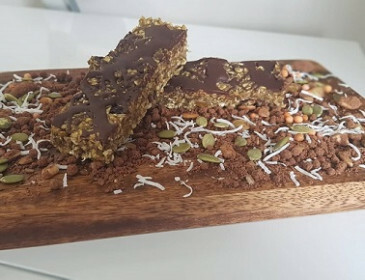 Protein bars using our pancake mix and some other ingredients. High in protein and healthy ingredients, they don't even need baking. Pancake mix and walnut cookies are made from our pancake mix and a few other ingredients. They're high in protein and don't tend to dry out when baked. 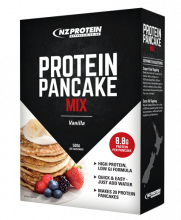 NZProtein Pancake Mix can be made into two separate protein bar recipes. *Please note that while every care is taken, this product is processed in a facility that also handles soy and nut ingredients. Dave recommended this product and he was right on! Thank you for creating a great product. The pancake mix is a winner! So easy to mix with water or milk and it tastes delicious! Will buy more again. 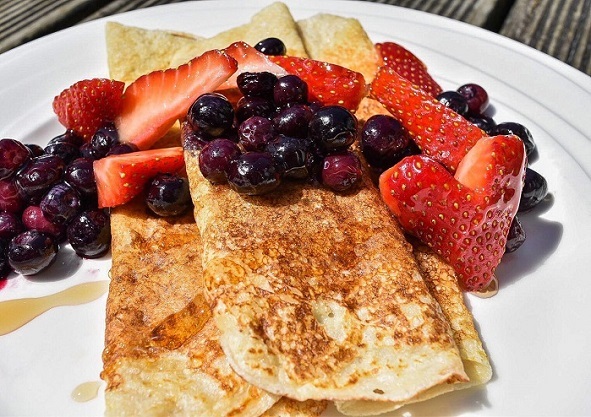 Wow made these last night and had them for breakfast this morning with berries! they were yum - will be having these again for sure. Click on a flavour to see the nutritional information. Can make waffles, bars... you name it!